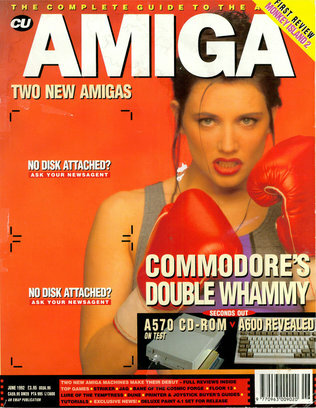 Commodore was a big company in 1992, the Amiga was selling like hot cakes and there were a lot of magazines devoted to this wonderful machine (including CU Amiga pictured above with one of my favourite covers ever — don’t ask why). At that time, there was no Internet in Mauritius but there were (real) libraries where I could borrow (real) books on computer programming and software design. The best was the British Council library which, unfortunately, does not exist anymore as a library. Being 19 in 1992, I obviously played games on my Amiga computer but I was not a big gamer: I got bored only after half an hour. What I like doing was geeky stuff. Things like using utility software to tinker with the hardware and the data on disk. I loved writing programs, first in BASIC then C and Assembly. I actually did quite a lot of Assembly programming on the Amiga and I loved the Motorola 68000 processor it had. So much so that when I finally got to university in 1993, I was already a very good programmer and I knew hardware pretty well. I actually found university, at least the computer science part, quite straightforward and satisfying. I have noticed something lately. Most students are not very good in computer programming when they start university. Of course, a good proportion manage to grasp it rather quickly (some, not so quickly…) and succeed very well. I hope to hear that next week when I start a new class with 1st year SupInfo students. According to L’Express, in two days, the Prime Minister will announce the creation of a high-powered committee whose mission will be to propose a strategic plan entitled Vision 2030 for Mauritius. What is this Vision 2030? In addition to smart cities, it seems that the Prime Minister will also announce the creation of technology parks, new developments in the port area, more emphasis on ICT and financial services, the adoption of an ocean economy, more projects for tourism and the continued enhancement of the airport. Human resources are not mentioned at all in the article. I am very curious to see what the Prime Minister will announce concerning this important aspect as we all know that the implementation of any vision require skilled people for it to be successful. Let’s wait until Saturday and I’ll update the post accordingly.